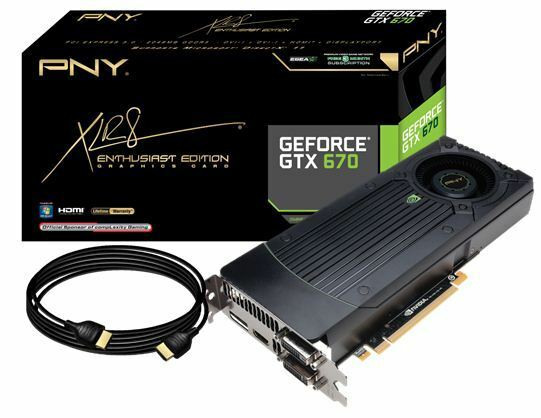 PNY Technologies, Inc. (“PNY”) today introduced the XLR8 GeForce GTX 670 2048MB GDDR5 graphics card. The GTX 670 delivers state-of-the-art features and technologies found only in the newest NVIDIA Kepler architecture to redefine smooth, seamless, lifelike gaming. connects the GTX 670 directly to an HDTV or monitor for maximum high definition 1080p gaming. now poised to offer two exceptional high end performance cards at price points to suit consumer needs. offers free 24-hour technical support. information on the complete line of products that PNY has to offer, visit www.PNY.com.